Who, or what, is responsible for bringing new business through your door? 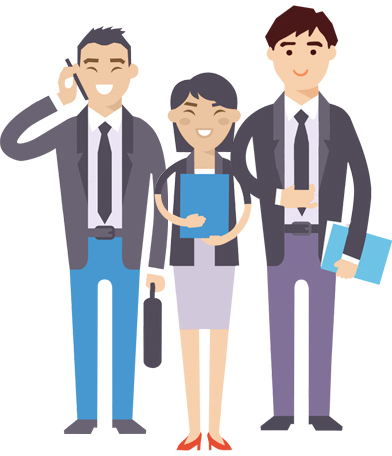 Do you have a sales team that is tasked with creating leads and closing contracts? 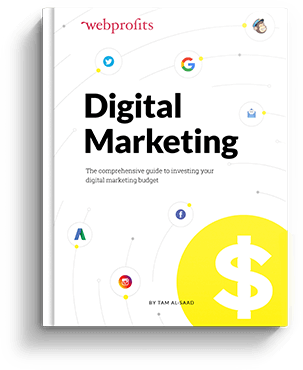 Maybe you have a strategy for increasing your presence on search engines and boosting sales through your website?Perhaps you send out email drip campaigns designed to re-engage leads and keep your brand at the forefront of potential customer’s minds? These are all great techniques for generating new business, but the bonus is on you and your team to make them work. That can be problematic, especially for startups that may not have the time or resources to invest as much into business development as they might like. So what if, instead of (or ideally, as well as) being directly responsible for your own new business, you could hand some of the hard work over to your existing customers? Just make sure not to make this easy mistake: confusing brand advocacy with brand loyalty. The two are interlinked, but customers can be loyal to your brand without being advocates (although the reverse can’t really be true). A brand loyalist is someone who is personally loyal to your brand, but doesn’t engage in promoting you to others. They’re important, not only because they generate revenue, but because they possess the potential to become advocates. Just remember that being loyal to a brand doesn’t automatically make someone an advocate. Bear in mind that I’ll likely use all three terms throughout this playbook interchangeably. By the end, you’ll know how to plan for, set up, manage, and grow a customer advocacy campaign. The benefits of a customer advocacy campaign are huge. It’s a low-cost way of generating new business that lets you diversify the people you reach and the ways in which you reach them. More important than any of this is the fact that brand advocates are just so damn effective at driving new business. Executed correctly, a brand advocacy campaign allows you to add to your roster of marketers for very little money (or even for free). If you want to maximize the results of your brand advocacy campaign, it pays to have a plan. You need to understand what you’re trying to achieve, how you’re going to find advocates, and how you’ll engage them and bring them on board. You’ll also need to put someone in charge of making it happen. Before you start building your customer advocacy program, it’s important to keep in mind that advocates are earned by companies who are genuinely committed to their customers. As with any marketing strategy, for it to be effective, someone has to be in charge. Sole traders: that someone is you. Startups and small businesses will probably want to hand the role to the person responsible for marketing. Larger companies might fare best by employing someone specifically for the role of advocacy marketing manager. Regardless of the size of your company, the most important thing is to make sure that the person tasked with managing and growing your advocacy strategy is briefed and trained properly for the role. Don’t assume that someone who has plenty of experience in general marketing will be equipped for a move into advocacy marketing. Advocacy is a very specific facet of marketing that has its own unique challenges. The personal attributes of a great advocacy marketer would probably look something like this. 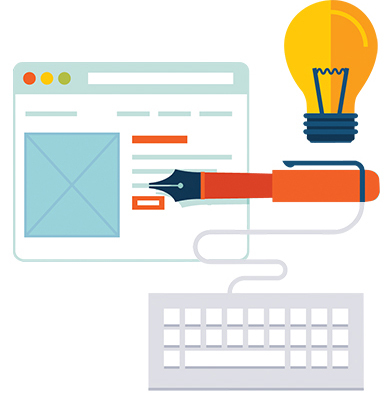 Can design marketing campaigns that engage and delight customers. Has great interpersonal skills and a natural ability to build rapport. Consider these attributes, whether you’re filling the job internally or employing someone new for the role. What’s the primary goal of your advocacy campaign? How did you answer? Did you say you want to grow your business? Or make more money? If you did, don’t worry. You weren’t wrong. Those are the overriding goals of any marketing campaign. However, to manage a marketing campaign properly you need to understand the smaller goals that contribute to the end objective of boosting revenue and growth. You want your advocates to make you more money. Of course you do. But you need to understand that advocates won’t generate leads in the same way that you, your sales team, or your marketing team might. 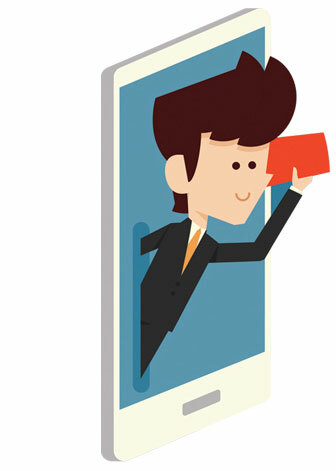 Your advocates will generate leads through their actions online and by referring people they meet to your company. 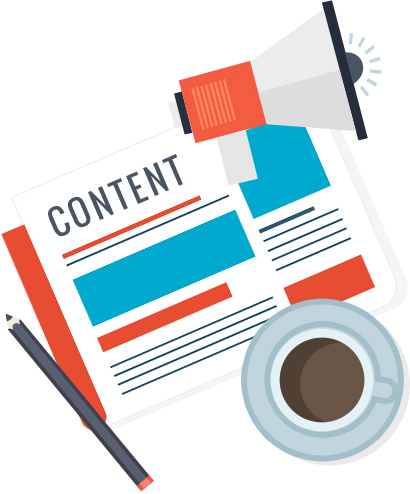 Do you want free, quality content that helps engage customers and drive new business? Then you’ll want to leverage the talents and passion for your brand that your advocates possess. Think testimonials, case studies, product reviews (text or videos), and imagery. While you probably shouldn’t dictate to your advocates what content they should create and how often (more on this later) you should provide encouragement and guidance wherever possible. In short, Duane Reade commissions posts like this – presumably not by paying its advocates (in cash, at least), but by offering store credit to purchase and test products and the Duane Reade in-store experience. It’s worth noting that not only have all Duane Reade VIPs been vetted as “brand advocates,” but that the advocates are region-specific. 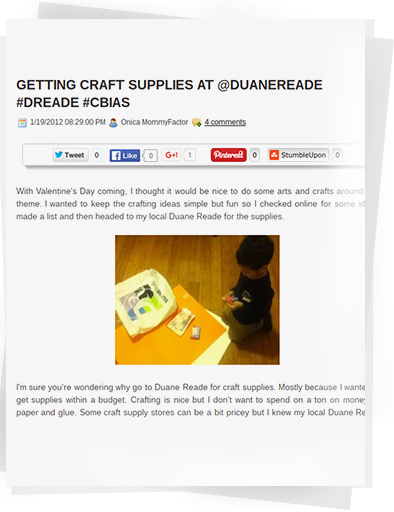 Duane Reade is a chain, but it’s very localized. It makes sense for its team to work with advocates in their local area (i.e. the New York metropolitan area), a condition which it states “is key” to its campaign. Through a campaign that involved celebrity bloggers and one-hour long Twitter parties, the compa- ny saw a 28% increase in year-on-year sales and a 5x ROI. If you’re creating content that you want to get in front of more people, it should go without saying that you should be leveraging your advocates’ social reach. In short: get them to help you out. While you might hope your advocates won’t need any persuading to promote content for you, life is rarely so simple. Thankfully there’s something you can do that might tip the odds of your advocates helping you out in your favor. 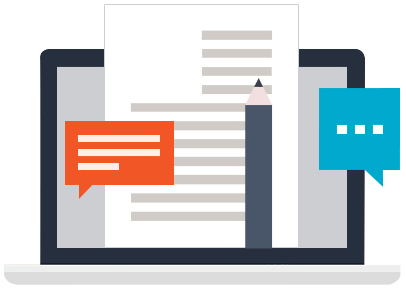 Give your advocates a first look at new content. This means sending them the content before it goes live and making sure they’re the first to know once it does. This strategy butters your advocates up. It makes them feel privileged to be the first ones to see new content, and powerful to be the first to get the chance to share it. Bonus points if you ask your advocates for feedback on content before it goes live. Once you identify the goals of your advocacy campaign and have a path to success in mind, find a referral marketing platform that fits your goals. “There are tons of referral marketing platforms out there,” says Syed Balkhi, co-founder of Optin Monster. “Do not try to build this in-house or use a self-hosted solution. 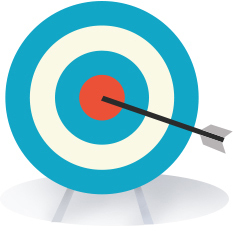 The right tool can also help when it comes to measuring the effectiveness of your campaign. “If you choose the right platform, you can see exactly how much new traffic and sales were generated from referral traffic,” Balkhi says. Identifying brand advocates probably isn’t as hard as you think – you pretty much just need to open your eyes and start paying attention to what’s around you. 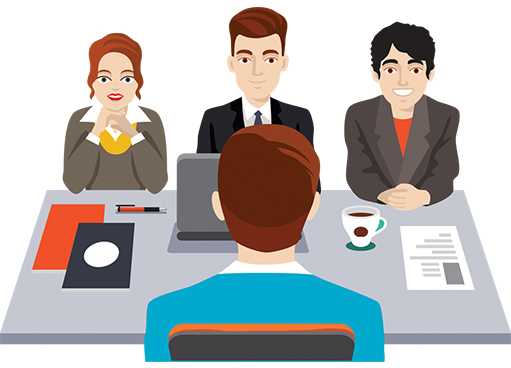 Before you begin finding advocates, however, you should decide just how many advocates you want in your program, and what attributes you’re looking for in the people you bring on board. If you want to take this bit a step further, try creating a persona for your ideal brand advocate. It should go without saying that your most engaged fans on social media are also the most likely to be (or become) brand advocates. Look for people who regularly like or share your posts. More importantly, pay attention to the people that regularly comment on your posts and engage in conversations with you. If you’re in a B2B industry, pay attention to the customers or clients who refer new business to you. According to stats reported by the Wharton School of Business, 83% of satisfied customers are willing to refer products and services, but only 29% actually do so. There are a couple of takeaways you can glean from this. First of all, you’ll get more referrals if you ask for them. 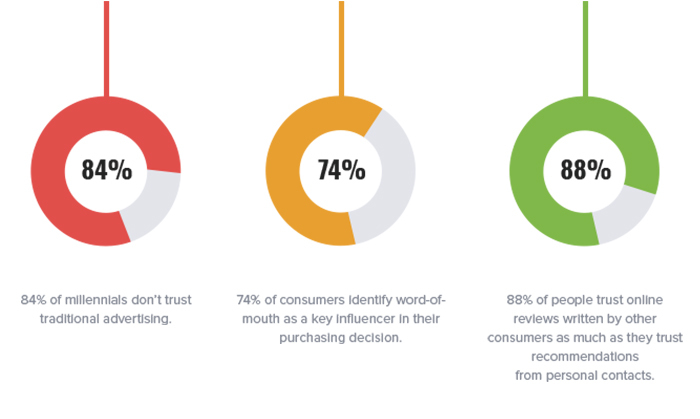 More importantly (in the context of this playbook at least), you can assume that customers who go to the lengths of actually referring new customers to you are brand advocates, or at least, have the potential to become them. Don’t let those who are already acting like advocates slip under the radar. Surely the most straightforward way to find out which customers love you most – and how much – is to simply ask them. Customer surveys are incredibly valuable for a number of reasons, and if you don’t use them, I’d urge you to start. They’re a great way to find out what your customers like about what you do, and where you’re going wrong. They can also be a strong indicator of who your brand advocates – or potential advocates – are. Then ask customers to choose a score between 1 and 10. Merely asking this question could encourage recommendations. It gets customers thinking about recommending you, which gets them halfway to actually recommending you. More importantly, those customers who pick a 9 or a 10… they’re your potential brand advocates. A brand can have advocates without actively doing anything to bring them on board. They’re the people who love a brand so much that they go around promoting it simply because they think other people will love the brand, too. That’s fine (more than fine) but if you want to maximize the benefits advocates bring to your brand, it makes sense to enroll them in an “official” program. They might be singing your praises, and that’s awesome, but how do you start the conversation that’s going to align their efforts with your overall marketing strategy and brand goals? You simply need to communicate with them. Miruna Mitranescu, Content Marketing Manager at Aircall.io. You need to discuss what’s in it for your customers if they adopt the “advocate” label and actively start working with you to promote your brand. Before you do that, make sure you can answer that question yourself. What’s in it for your advocates? You can’t approach an advocate and say “Hey, want to start doing what I tell you to?” They need a reason to come on board properly – beyond the fact that they love your brand. Once you know what you’re going to say to your advocates to convince them to come on board, it’s time to actually contact them. How you do this is up to you. If the customer is engaging with you on social media, you could contact them via whatever site they use most. I’ll always use email if I have the option – it just comes across as a bit more professional. So, when is the best time? “That will be different from business to business,” says Markidan. Again, this will vary depending on your business, but it’s absolutely critical to have a deliberate strategy around timing to go along with the actual ask. I wouldn’t worry too much about what you say at this point. All you really want to do is let the customer know why you’re contacting them and open the doors to a further conversation. It hasn’t gone unnoticed what an awesome customer you are. You’ve been really supportive of what we do here at [Company Name], and that’s why I’d like to invite you to become part of our customer advocacy program. It’s an exclusive program that we’re only inviting a handful of our very best customers to. In short, it would entail you getting a little more closely involved with [Company Name] and more active in helping us to spread the word about [what you do]. In return we’d arrange some special benefits just for you. Every smart marketer uses tools to help manage and optimize their efforts. Below is a list of nine quality tools designed to help you engage your customers, monitor your brand, and support the creation and execution of referral and advocacy campaigns. Influitive offers a complete package of integrated tools designed to support your advocacy strategy, including community forums, automatic customer recognition, and event management. Ambassador makes it really easy to build, test, and track different referral campaigns. This means you’ll know exactly which rewards and incentives are working for you, and which ones aren’t. This free add-on for Salesforce makes it easy to manage advocates’ activities and reward them for their referrals. Super-simple software for building user-friendly, effective referral campaigns. 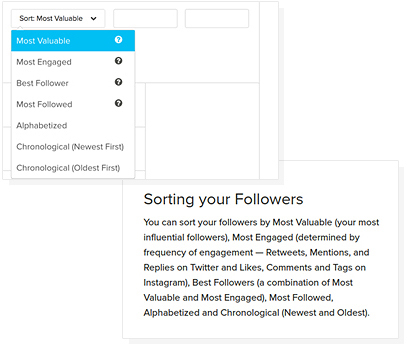 Extole users also benefit from detailed analytics software that helps set and assess benchmarks, and “influencer segments” that highlight top referrers and advocates in-the-making. 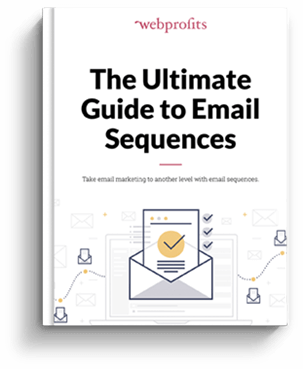 Quickly acknowledge current customers’ communications and re-engage inactive customers by automating the process of emailing the right people, with the right message, at the right time. Mention monitors what your customers (and non-customers) are say- ing about you so you can react fast to salvage rocky relationships and nurture the good ones. RewardStream runs some of the largest and longest running referral programs online today. 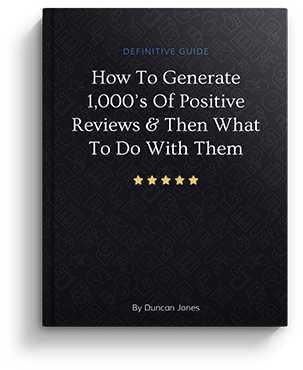 They offer a huge number of referral channels (including all the major social media platforms and others such as Whatsapp) and even the ability to track word of mouth marketing. Build closer relationships with your customers by running competions, asking for feedback through polls and quizzes, and encouraging (and leveraging) user-generated content. Better yet, campaigns built through Woobox can be used anywhere, including on your site, in pop-ups, and on social media. Zuberance’s toolset will help you identify, leverage, and monitor advocates. It’s much more than a referral tool – after developing a database of advocates, Zuberance helps to drive recommendations while monitoring impact and providing actionable insights. Brand advocates aren’t born, they’re made. If you’re doing most things right, you’ll probably pick up a few without even trying. But what if you want more? How can you take a dedicated customer or a fan of your brand and turn them into a true ambassador? Before you can exceed your customers’ expectations, you have to meet them, and meet them consistently. “Customers want a consistent and predictable experience when they do business with a company,” says Hyken. The reason customer advocacy works so well is the authenticity with which happy customers sell your product for you. It stands to reason, then, that you should start your relationship with a potential advocate through authentic, personalized outreach. Just ask Sol Orwell, co-founder of Examine.com. “I’m a huge advocate of spending a bit of time researching your customer. Use tools like Rapportive, AudienceOwl, FullContact, and more to find out *who* your customer is. Reach out and connect with them. At first, you should do this yourself to make sure your expectation of your customer matches reality, but once you have a system down, you can outsource it to a virtual assistant using a service like Zirtual. You know that you need to be offering good customer service. If a customer asks a question, you should have the means to answer it quickly. If something goes wrong, you should do whatever it takes to put things right. But if you want to turn customers into advocates…? You need to do much more than meet your customers’ expectations. You need to go above and beyond and offer customer service that blows their mind. The reality is that meeting customers’ expectations is just that – doing what they expect. Yeah okay, they might go away satisfied – but will they shout about the experience to others? Probably not. Let’s take a look at Zappos – a company that goes above and way, way beyond. Today, most E-commerce companies offer a free delivery option. Sure, “free” delivery might take a little longer, and it might be conditional based on a minimum order value, but that’s okay. Customers are happy the options there. Unfortunately, customers are now so accustomed to “free delivery” that they pretty much expect it. By offering it you’re not doing anything unusual. It doesn’t set you apart from your competitors. It simply satisfies your customers’ needs. Clothing retailer Beckett Simonon offers a pretty unique concept. Its design team dreams up new products each and every month. Customers then pre-order the items they like before they’re produced (ethically and responsibly, of course). The idea is that by mass-manufacturing to order, Beckett Simonon can reduce waste, slash the cost of storing inventory, and in turn pass the savings onto their customers. Our in-house design team creates and stylish products every month. If you like them, you can pre-order them here at a fraction of the retail price. We want you to experience the absolute best quality without having to pay a fortune. Sit down and relx. After manufacturing is complete, we ship the products straight from the factory to you. Saving money on ethically made, stylish and high quality products is now that simple! That’s all pretty cool, but it’s not why I’m talking about the company here. The reason it’s here is its awesome return policy that offers a really sweet deal for customers, and in turn boosts repeat business. When a customer returns an item, they of course get a full refund. They also receive an additional 20% of the purchase price. You might think that sounds crazy. The offer would get abused, surely? But of course, the extra 20% is given in store credit. That’s a really clever move. It’s a great deal for customers, and while it might leave Beckett Simonon slightly out-of- pocket, it also increases the odds that customers are going to come back. If you’ve ever received an unexpected gift from a company – especially if it was evident that gift was chosen personally for you – you’ll know just how effective this is. expectations. In order to surprise someone, you have to do something unexpected, which means by its very nature a surprise (a good surprise!) should exceed someone’s expectations. Auto repair shop Jimyz Automotive sends handwritten cards to thank customers for their business. While you might expect people to comment on how this was a great example of customer service that other businesses should aspire to, some customers actually started popping up that had had dealings with Jimyz themselves. If the original poster wasn’t sold upon receipt of the card, the endorsements from other Reddit users would surely have turned the OP into a certified brand advocate (while potentially sparking the interest of a few other customers, too). True advocates will make referrals on their own. “Official” advocates will make them in part because they’ve been asked to (and in part because they want to). In the meantime, it makes sense to get customers used to referring you by offering a reward each time they do. Not only does a referral scheme provide a quick and effective way to grow your business, but getting people talking about your brand – and thanking them when they do – helps to build the kind of loyalty that turns customers into advocates. 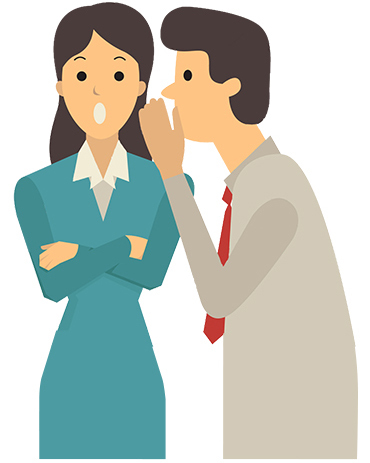 Many of the simplest referral schemes offer cash rewards, or credit to use with the company. Uber offers ride credit to each user who refers a friend (the friend gets credit too). Drivers can earn cash both for referring new riders and new drivers. When a referred driver completes their 10th trip, the driver that referred them gets $100. Those drivers also earn $5 each time a rider they referred takes their first ride. Amazon offers Prime customers $5 to spend on the site each time they refer a new customer to Prime. Dropbox entices customers to refer friends with the offer of additional, free storage – 500MB for each friend they refer, up to a maximum of 16GB. Keep in mind that product upgrades and even cold hard cash might not be the best incentives for your customers. The most effective advocacy campaigns feature detailed strategies that dictate what’s expected of your advocates. You need to tread carefully here. You’re probably not paying your advocates (more on this later), so you can’t be too demanding or controlling with their time. What you ask of your advocates should be matched (give or take) by what you can offer in return. You wouldn’t employ a surgeon to work a 60-hour week and pay them for 40 hours at minimum wage. The same logic applies here. Sure, you have some leeway. The fact that your advocates love your brand probably means they’ll be willing to put in the extra effort for less in return, but play fair. 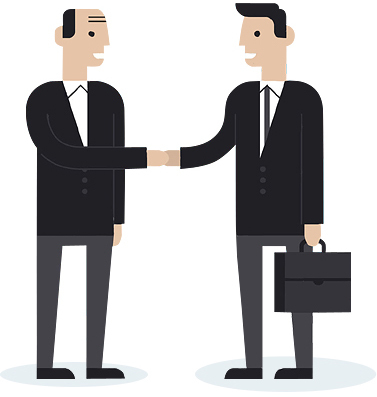 The more you ask of your advocates, the more you should be willing to offer as compensation. Giving advocates the freedom to choose what activities they engage in and how often will make their life easier – and yours, as well. It lets your advocates play to their strengths, for starters. They can choose to engage with you using the platforms they feel most comfortable with and via the medium that suits them best. That means if an advocate feels happiest writing a blog post, they’re granted the freedom to promote you that way. If they prefer filming a video, likewise. It also means that your advocates aren’t forced to stick to a rigid schedule that risks leaving them feeling more like employees than advocates (though that’s not to say that employees can’t be advocates). 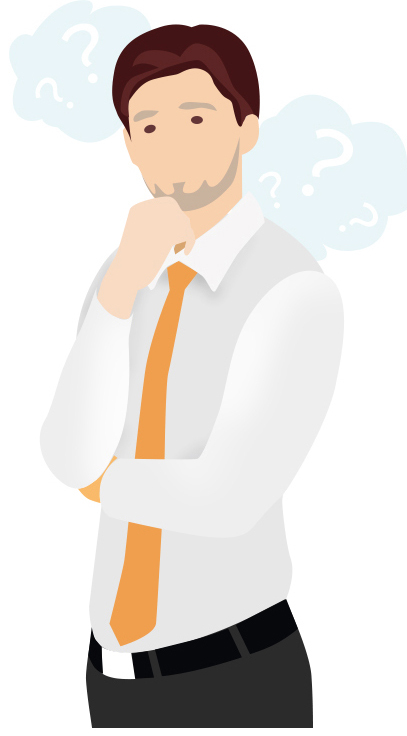 Ask- ing too much of your advocates could potentially lead to resentment. Provide guidelines but avoid exerting too much control over what they do or don’t do for you. So we know that you shouldn’t demand too much of your advocates’ time or try to exert too much control over how, or how much, they promote you. That said, brand advocacy is a two-way street. If you’re going to be dishing out benefits to your advocates, you need to ensure you’re getting something in return. Thankfully, if you’ve brought the right advocates on board, that shouldn’t be too hard. True advocates want to do things for you, so being rewarded for their actions should, we would hope, simply make them want to do more. Either way, it makes sense to set out guidelines that describe how involved you expect your advocates to be, and what sort of things you would like them to do. I don’t doubt that the Walmart Moms (Walmart’s advo- cacy scheme) know exactly what’s expected of them as part of the scheme. Okay, Walmart is a huge brand. It has seemingly infinite money and influence. It has the power to demand more of its advocates (and the cash to compensate them very fairly). But the principle remains the same. You need to make sure your advocates are actually advocating you. You also need to ensure you have a happy balance in terms of how you’re being advocated. Many of us work best when told precisely what’s wanted from us. In an article about consumer behavior, Gregory Ciotti said. What activities you’d like them to engage in (if you’ve done your research before inviting an advocate on board, you should have an idea of how their talents can best be utilized). How often, approximately, you expect them to carry out specific tasks. How you’re going to support their efforts (i.e. by sending products to review or content for them to share). Don’t ask advocates to sign this document. In fact, even calling it a “document” might be a bad idea. Ideally, you want to make the whole thing feel casual, and even more importantly, fun. Don’t make your advocates worry that they’re signing their lives away by agreeing to join your program. It should be something they want to do, not something they do because they feel obligated – or just because they want to be rewarded. 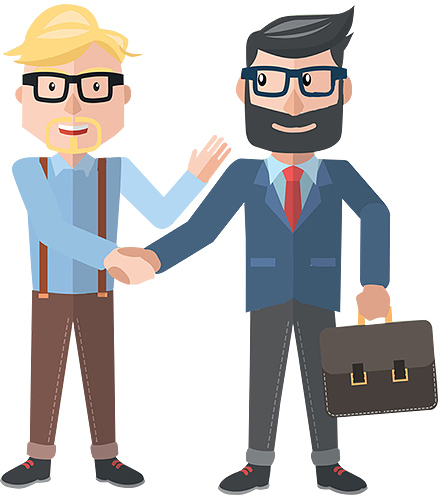 If you never meet your brand advocates in person, you’re doing it wrong. Don’t communicate with them exclusively through a screen or over a phone. Encourage them to visit your headquarters so they can see firsthand what life at your brand is like. Invite them to events, product launches, or even certain team meetings. Don’t allow your advocates to hear about your successes via an email or a social status update – implement a process that will allow them to celebrate with you. And don’t think a brand advocate is only useful in brand awareness and customer acquisition campaigns. Don’t just include them in your marketing plan. Instead, involve them in creating your marketing plan. Invite your advocates to brainstorming sessions and product development meetings. Ask for (and listen to) their opinions. A great advocate could know as much about your brand as some of your staff, while offering an outsider’s perspective on what you do and the products you create. But she doesn’t just engage with the company about her day-to-day life – she’s actually produced several video product reviews, too. In return, the AO team has sent Debbie flowers when they know she’s had a bad day, and even gifts for her dogs on their birthdays. They also invited her to come visit them in their headquarters and join in a live stream. The result is that Debbie engages with every Facebook post AO puts out, and even chimes in sometimes in defense of the company’s service when customers leave complaints on the page. You might think getting the ball rolling by paying a handful of loyal customers to act like advocates would be a pretty smart plan. I’d agree that it would probably work – in the short term – but the truth is, I’d generally discourage it. True brand advocates are organic. They don’t expect payment. They advocate your brand because they genuinely believe in it and what you do. And they’re better advocates for it. Find yourself a dedicated Mac user (it probably won’t take long) and tell them you’re thinking about buying a Windows computer. 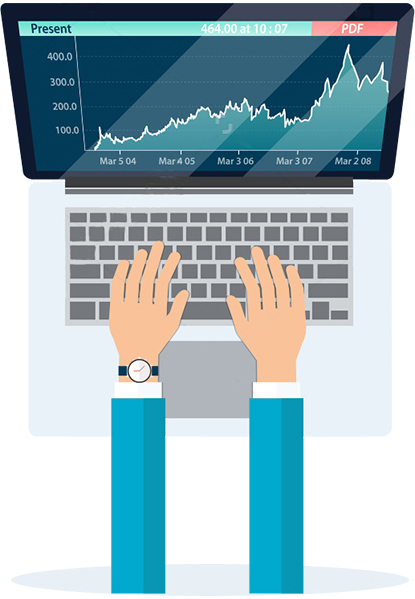 Chances are they won’t hesitate to sell you the benefits of Mac OS over Windows. Offering payment for advocacy is akin to offering a bribe. It’s time-limited (chances are when the payments stop, so will the advocacy) and less effective (it’s easy to spot someone who truly believes in a brand over someone who’s in it primarily for a paycheck). That said, you should by all means “incentivize” your advocates. Providing them with freebies or first access to new products can be great ways to thank them for their dedication and encourage them to go above and beyond, but it doesn’t create expectations by which your “advocates” expect payment in return for their advocacy. 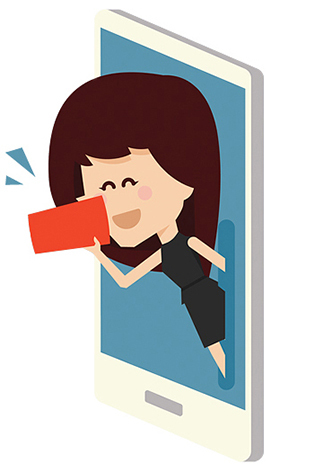 communicate with you, each other, and your current or potential customers – as well as to share content (think pictures, videos, and reviews). This could be an internal platform hosted on your own domain (like a forum) but external platforms can work just as well. Facebook and LinkedIn groups are simple to create and should be familiar to your audience (which boosts the odds that your customers, and advocates, will use them). Avoiding creating closed platforms. Don’t deny customers the chance to become more involved with your brand, or potential customers the opportunity to get firsthand insight into it. If you want to offer special privileges to your advocates, consider extending administrative rights to them. 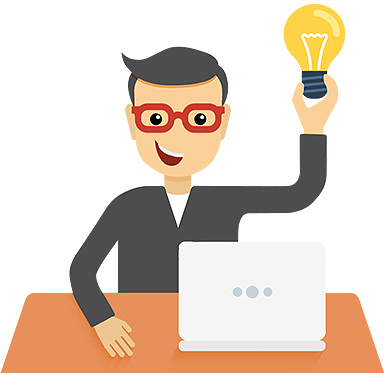 Another option is to create a blog that’s populated specifically by your advocates. This might not be a move you make right away; you’ll probably want to get a few advocates on board first. 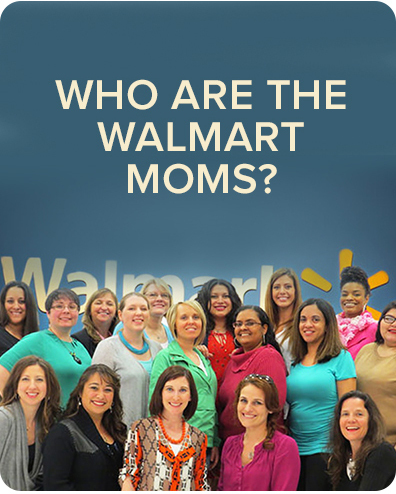 This is a technique Walmart has employed with its Moms campaign. 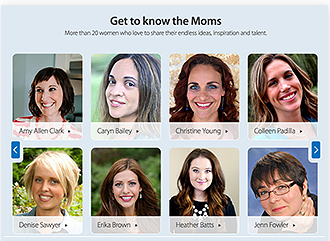 This not only provides a great platform for the Walmart Moms to share their views, but also makes linking between content and products easy and natural (which must help to drive sales). All marketing campaigns should be measured, no excuses. If you’re not monitoring your wins (and your losses), you’re not learning anything and you’ll be unable to make changes that will boost results. Perhaps more worryingly, your efforts (and the cash spent executing them) could be going to waste. There are many possible metrics you can measure that will help you assess which elements of your campaign are working, and which need fine-tuning. Before you try to get too clever with secondary indicators, go straight to the customer and ask them. Ryan Farley, co-founder of Lawnstarter, relies on customer surveys to determine how customers heard about them. Farley says, “About 70% of people fill them out. So we break down the percentage that came from each channel, and multiply it by the total.” Intentionally or unintentionally, though, customers aren’t always honest, and it’s worth double-checking those self- reported results with data from other sources, like Google Analytics. Bottom line: ask your customers, but don’t rely on that data exclusively. Social shares help indicate how your own content is performing. They also help demonstrate which of your advocates have the most engaged audiences and so are in turn driving the most engagement for your brand. If your advocates are creating content that they publish to their own blogs or sites, make sure you’re using your analytics to monitor how much traffic their posts are driving to your site. However, comments will tell you exactly what people are thinking. Pay attention to what people are saying in them . The ultimate goal for your advocacy campaign is to drive more business, right? That means you need to be monitoring how many referrals and/or how much revenue your advocates are sending your way. An easy way to monitor referrals is to offer a rewards scheme that pays out for each successful referral. Each advocate is given their own unique code that they ask each new customer to quote when making their purchase. It’s important that this rewards scheme goes two ways – as in, it should reward the person being referred as well as the person who referred them. This ensures that the person being referred has an incentive to hand over the code. You can also monitor revenue that’s being generated by traffic that advocates are sending your way – at least if it’s being derived from a blog post. Unless tracking codes are being used, the same can’t be said for social media. Needless to say, you’re looking for evidence that your advocates are generating a ROI: evidence that their actions – like the content they’re creating – are increasing awareness of your brand and/or driving traffic to your site. If that awareness or traffic turns into sales, then great, but you can’t necessarily hold your advocates responsible for what happens once a potential new customer arrives on your site. Of course, some advocates may be much more active offline than on. That’s fine, but you need to ensure you’re tracking what new business (if any) they’re sending your way. When you initially launch your advocacy campaign, you’ll probably want to play it safe – test the waters, so to speak – by limiting the campaign to a handful of advocates. It’ll keep costs down and reduce the manpower needed to manage it. There will come a point, however, when you’re going to want to grow your campaign. Generally that’s when you’re certain you have full control of the campaign, and you know it’s profitable. If you’d prefer to grow your campaign organically, that’s fine. It’s easier to keep control of a campaign that grows at a natural (and slow) rate. 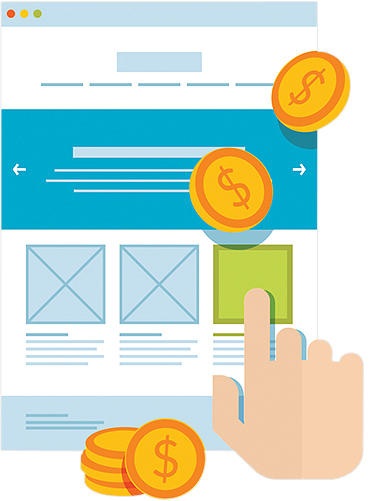 If, however, you’d rather maximize the heck out of your campaign, read on. So far, we’ve been working on the assumption that you’re identifying and approaching customers that you feel have the potential to become advocates. That’s fine, but it’s difficult to scale. We recently starting working more closely with some of our customers as part of an advocacy program. It’s a project that encourages our customers to actively talk us up while they get to enjoy some special, pretty awesome benefits in return. It’s a lot of fun and offers some great rewards for everyone involved! We’re now in the process of expanding the program and we’re looking to bring some new advocates on board. 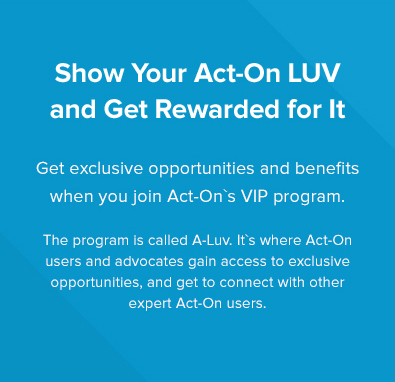 The team behind marketing automation software Act-On manages an advocate program called ALUV, which stands for Act-On Love. The program exists as much to convert customers into advocates as it does to encourage and reward existing advocates. This is a great example of a company that’s scaled its advocacy campaign in order to get advocates coming to them. 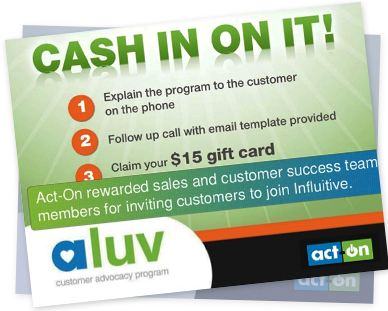 Each new customer receives an invite to join the ALUV program, and automatically becomes part of a “90-day ALUV program.” Once enrolled, customers receive communications from Act-On three times in three months. The idea is to encourage customers to become more engaged with the brand and ideally, become advocates. 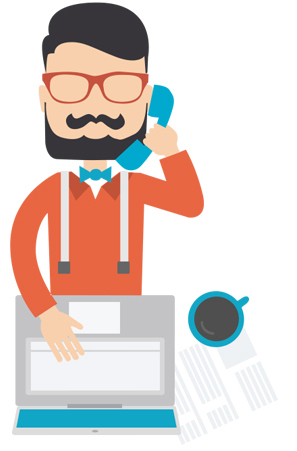 The communications come in the form of the least-intrusive form of modern communication – email. The first email is simply an invitation to join ALUV. The second centers on a piece of content, which the customer is encouraged to comment on in exchange for points that can then be swapped for gifts. Finally, Act-On tries to entice advocates with challenges and giveaways. have the knowledge and information needed to figure out which customers are potential advocates, and which are not. Act-On does this as part of its ALUV campaign. It actually incentivizes its staff to get customers involved in the program by offering a $15 gift card for each customer they invite to join the initiative. Advocates can do more than increase general brand aware- ness, drive traffic, and boost sales. You could actually make the growth of your advocacy program entirely self-suffi- cient by getting your advocates to bring new advocates on board. As the number of advocates you have on board increases, so does the time it takes to keep them all engaged. If you don’t have one person in charge of managing your advocacy campaign, once you start scaling you may come to a point where you don’t really have a choice. Automated, personalized emails can help your ad- vocates feel engaged for a minimal cost. Use email to keep your advocates updated but ensure each message is suitably personalized. You can also make managing engagement easier by encouraging your advocates to utilize a single platform should they need to talk to you, or each other. Confining most communications to a single location drastically reduces the manpower needed to respond to all queries. Having those same communications occur on a platform that’s accessible by all advocates also means that other advocates might jump in and deal with queries (meaning you don’t have to). One of the biggest challenges with scaling any campaign is retaining full control. It should go without saying that the more advocates you have on board, the harder it will be to ensure advocates are doing what you want them to, and at the standard you’re after. Hosting all content advocates create on a single platform (like we saw with the Walmart Moms) makes it much, much easier to keep on top of what’s being said and when. Configure the blog so that posts must be approved before they go live and you can retain control over what your advocates are saying about you. Unfortunately, one of the great advantages of an advocacy campaign is how it enables you to reach new audiences when your advocates talk about you on your their sites and in their social profiles. But that’s okay – there’s a way around this one. Ask your advocates to post all new content to your blog. As above, posts will have to be approved by someone on your team before they actually go live. Then, a week or so later – once the original post on your site has been indexed by Google, ask your advocates to repost the content to their own site or blog, and promote it to their audience. If you want to play it doubly safe (and eliminate the risk Google will think the second version is the original) you can ask your advocates to include a cross-domain canonical on each piece of content. Another way to retain control of your campaign as it scales is to implement a hierarchical structure. If you’ve been running your program for a while and have a good number of advocates on board, chances are there will be a few that stand out as extra-dedicated and super-trustworthy. Make these advocates “Tier 1” advocates. 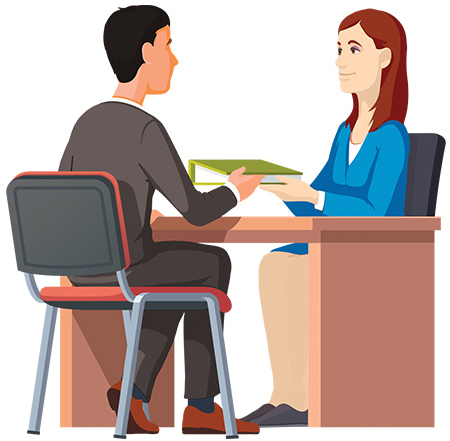 It will be their job to manage the actions of the Tier 2 advocates – doing things like answering questions, keeping them engaged, and encouraging them to stick to their half of the bargain. In return, they get extra-special benefits. If you don’t think this can work, just think about how the owners of forums “promote” trusted members to moderator status so they can help monitor and manage what occurs within them. This is essentially the same thing, only those forum moderators are unlikely to be getting any compensation for their time. Even your biggest supporters can get burned out. Keri Keeling, VP of Customer Success at Bluenose Analytics, refers to this as “ evangelism fatigue” – the exhaustion a customer feels when called on too frequently. 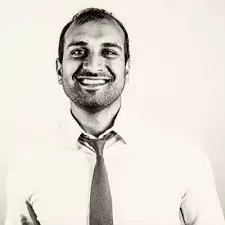 Sujan Patel is the co-founder of Web Profits. He has over 13 years of internet marketing experience and has led the digital marketing strategy for companies like Sales Force, Mint, Intuit and many other Fortune 500 caliber companies.